Aiseesoft Mac Video Converter Ultimate can easily converts all popular formats like MP4, AVI, WMV, MOV, MKV, AVCHD MTS/M2TS, MOD/TOD, MXF and more to any video formats including HD video formats such as DivX HD Video (*.avi), HD H.264/MPEG-4 AVC Video (*.mp4), HD MKV Video Format (*.mkv), HD MOV Video (*.mov) 30X faster with zero quality loss. This converter software also supports converting 2D videos to 3D files and offers Anaglyph 3D, Side by Side 3D, and Top and Bottom 3D modes. It could also extract audio track from video files, or convert audio from and to MP3, AAC, OGG, AIFF, AC3, lossless audio formats including FLAC, WAV and WMA and other popular audio formats. In addition, it provides users with the preset output formats for iPhone, iPad, iPod, Android devices, YouTube, iMovie, Final Cut Pro, and more. Rip DVD to almost all popular video formats including AVI, MP4, MPG, MKV, MOV, WMV, HD MP4, HD WMV, HD MOV, etc. Convert standard and high definition video formats to various video & audio formats. Convert audio files to popular audio formats including AAC, AC3, AIFF, AMR, AU, FLAC, M4A, MKA, MP2, MP3, OGG, WAV, and WMA. 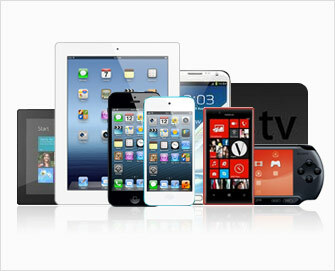 Play and enjoy videos on iPad, iPhone, Kindle Fire, PS3, Android and more portable devices. 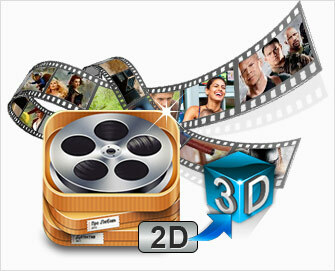 It's very easy for users to rip home DVDs and convert videos to various video & audio formats their devices supported.It offers preset profiles that includes the best video settings for iPhone, iPad, iPod, Samsung Galaxy S4, Samsung Galaxy Note II, Samsung Galaxy Tab 2 7.0, Samsung Galaxy Tab 2 10.1, Nokia Lumia 920, BlackBerry Z10, Asus Transformer Pad Infinity TF700, Google Nexus 7, Motorola Droid Razr M, Kindle Fire, etc. Convert any popular 2D video to Anaglyph (ten types), Side by Side (Half-Width/Full), Top and Bottom (Half-Height/Full) 3D files in a variety of formats like AVI, MP4, MKV, FLV, etc. so that you can play them on the portable 3D video playback devices, computer (PC/Mac), or 3D TV. It allows you to switch L/R image and change the 3D scene depth as wish. Convert the downloaded YouTube videos to up to various devices.Supports all available YouTube formats (MP4, FLV, WebM) for any video quality (from 360p up to 3072p) and easily downloads all new 1080p FULL-HD videos, 2k-resolution videos, 4k-resolution videos or even 3D videos preserving 100% of original YouTube video's quality. Highest sound quality is available with M4A, MP3, MP4, AAC, FLV and HD formats!